Before heading off to visit dear colleagues at the Public Health Agency of Sweden tomorrow morning, I thought I'd do a quick 'This Month...' post. Tropical Parasitology has published a paper by Elghareeb and colleagues on 'Laboratory Diagnosis of Blastocystis in Diarrheic Patients'. I was asked to do a Guest Commentary on their paper, and if your're interested you can download my comments here for free (html version). The paper by Elghareeb et al. should also be free for download at the website. I have been very lucky to work together with Dr Prashant K Pandey and his colleauges in Pune, India. Together we just published the first data on Blastocystis subtypes ever to appear in India for what I know. We subtyped Blastocystis in a cohort of healthy Indian individuals, and found ST1 and ST3 in 27/100 adult individuals tested, while other common subtypes, ST2 and ST4, were absent. Remarkably, ST3 was seen in all positive individuals, while ST1 was seen only in mixed infections. The strains (alleles) found in India were no different to those found in for instance Europe. There is a paper out by Rossen and colleagues from The Netherlands showing that Blastocystis is relatively uncommon in patients with active ulcerative colitis (UC) and significantly less common in UC patients (13.3%) than in healthy individuals (32.5%). This is completely in line with data that we generated in Denmark a couple of years ago. In fact, at two separate occasions we have been able to look into patients with inflammatory bowel disease. In both cases (one study has been submitted for publication), hardly any Blastocystis was found in patients with Crohn's disease, while a few patients with UC were positive; however, mostly patients with inactive disease appeared to have Blastocystis, while those with flare-ups were negative. Therefore, the influence of dysbiosis on Blastocystis colonisation should be subject to further scrutiny. A lot of action goes on at the official website for the 1st International Blastocystis Symposium in Ankara in May, with exactly three months to go! Why not take a minute to browse the programme for the Pre-Symposium Course and the Scientific Programme for the actual Symposium? Please go here to familiarise yourself with the new content. Also, conference abstracts are pouring in, - did you submit yours yet? There has been changes to the programme for the 1st International Blastocystis Symposium (May 28-29), please go here to see the updated programme. Also, the Pre-Symposium Course programme (May 27) can be viewed here. We will be absolutely spoilt with speakers! Please do not forget to visit the official website for updates on the social programme plus abstract/registration deadlines. Scientific Programme for the 1st International Blastocystis Symposium in Ankara, May 2015, is now available! The Scientific Programme for the 1st International Blastocystis Symposium in Ankara, May 2015, is now available! Please note that the programme may be subject to change. Go here to view the official website for the symposium. I'm going to dedicate this blog post entirely to the upcoming 1st International Blastocystis Symposium. I'm not sure how much advertising there is for this congress (our budgets are limited), but the fact that we are already receiving abstracts is a good sign! Abstacts may be submitted until April 1st, 2015. Please note that the 'early bird' registration discount expires at the 15th of February. You will find the online abstract submission form here. If you think about going but have not paid a visit to the official conference website, I recommend you to do so, clicking this link. You'll hopefully find most if not all the information that you'd be looking for, and there's a lot to be learned. Please also make sure to browse the social programme in order to be able to make appropriate arrangments. It's a two-day symposium, running from the 28th to the 29th of May, 2015. Moreover, on the 27th, there will be an all-day workshop on various diagnostic and molecular epidemiological aspects, including a barcoding (subtyping) course. There will be more info on that very soon, - please keep an eye on the website. We are doing all we can to attract scientists with vast experience in Blastocystis research to cover the floor with exciting and stimulating talks, and I think we're doing more than OK. Some of the speakers will be writing up reviews on their respective topics, and these reviews will appear in a special themed issue in Parasitology International. 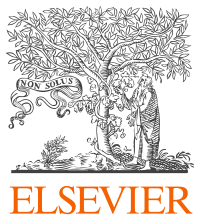 There will be a quite a few prizes for best talks and posters, etc., thanks to ELSEVIER among others. It will be one-track symposium, and the first day will focus mostly on some fundamental topics, such as genomics and biochemistry, while the next day will include talks on clinical and diagnostic data. It's my clear impression that main organiser Dr Funda Dogruman-Al is working 25 hours a day to make everything come together, and Dr Hisao Yoshikawa has also already invested a lot of energy. Again: please note that early registration will close at the 15th of February, and abstract submission deadline has been extended to April 1st, 2015. Looking very much forward to seeing you there!